There is nothing like a near miss or collision to focus your mind on road safety. I often hear from people hoping to enlist my help in solving their issue. Requests have ranged from posting lower speed limits to constructing left turn lanes recently. Most people have already tried something on their own and are frustrated with what they see as the authorities not wanting to apply what they see as the solution. We live in an age of access to information. In fact, there is so much of it on the internet that one has to be careful that they are reading reliable information instead of rants, rumours and opposing points of view. However, by doing some research with respected sources, you can create a logical, comprehensive identification of the problem and useful solutions to present to the authorities to deal with your issue. ICBC maintains crash maps for the province that currently contain data from 2009 to 2014 showing casualty crashes, property damage crashes or both together. It is a bit cumbersome to locate a specific area, but you can find any place of interest with a little trial and error. This would allow you to accurately cite a collision history if there is one at your location. Causal factors for the collisions are not listed, but this information can be requested if crashes have occurred. There are a number of Canadian organizations and universities that provide road safety audit guidelines. These PDF manuals are available for download by anyone with an interest. ICBC has applied audits as part of the Road Improvement Program. The aim is to solve both existing problems and design new roads more safely. Traffic calming measures include more than just speed bumps. Drivers can be influenced by the environment they are in and slowed without using speed bumps or limit signs. Better Environmentally Sound Transportation is a BC non-profit that facilitates programs that includes one called Living Streets. According to their web site, it provides provides its participants with an opportunity to have positive and productive interactions with municipal planners and subsequently generates useful information for the future development of these neighbourhoods. A good example of what one can do on their own is Matthew Boyd’s Feltham Village Project. Granted, he is a senior planner with BC Transit in Victoria, but the project is an objective look at issues in his neighbourhood along with suggested solutions. You could either borrow his solutions or follow his example and create a blog of your own. To understand one Canadian road safety perspective clearly, I recommend reading No Accident – Eliminating Injury and Death on Canadian Roads by Neil Arason. Neil is also a Victoria resident who has significant experience in road safety research. He blogs about road safety problems and solutions as well. So, if your two paragraph letter to city council requesting the installation of a stop sign at the end of your street was rejected and the safety issue is really important to you, do some research and try again. Justification may bring success or you may even be able to provide a better solution that is acceptable to everyone. Sometimes success requires learning and trying again. 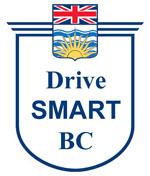 Be the first to comment on "DriveSmart BC – Road Safety Solutions For Your Neighbourhood"